2018-19 Osage County 4-H Royalty, front from left, Gage Cannon, Cloverbud, North Osage, Braxtyn Sturgeon, Cloverbud, Lyndon Leaders, back, Garrett Croucher, Willing Workers, Grace Croucher, Willing Workers, queen Josie Thompson, Willing Workers, king Isaac Shultz, Clover Wranglers, Solomon Shultz, Clover Wrangler, and Kieren Shultz, Clover Wranglers. Courtesy photo. 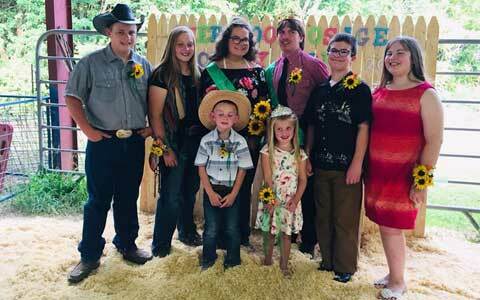 In a ceremony held Aug. 8, 2018, at the Overbrook Osage County Fair, Isaac Shultz, of Clover Wranglers 4-H Club, Burlingame, and Josie Thompson, of Willing Workers 4-H Club, Osage City, were crowned as the 2018-2019 Osage County 4-H King and Queen. Attendants Braxtyn Sturgeon and Gage Cannon helped with the ceremony, along with the past 4-H king and queen, Royce Cowan and Lily Shultz. 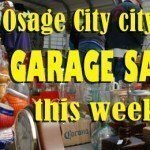 The competition was organized by the Osage County 4-H Council. Rules to be a candidate require that the 4-Her be between the ages of 14 and 18, submit an application, and participate in a personal interview. The local 4-H king and queen will serve one year and have a variety of responsibilities, including promoting 4-H, being visible at the county fairs to hand out ribbons, helping host other county-wide 4-H events and participate in next year’s crowning ceremony to pass on their titles. Josie Thompson, Osage County 4-H Queen, was escorted by Garrett and Grace Croucher and attendant Gage Cannon. Josie has been a member of the Willing Workers 4-H Club for eight years. 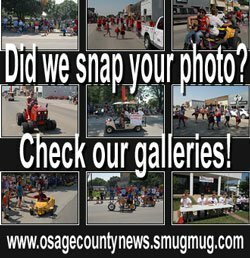 She plays many roles in the club such as club historian, foods junior leader, and photography junior superintendent at the Osage County Fair. Some of the projects she is involved in include foods, photography, leadership, buymanship, beef, and the swine project. She says that buymanship and showing her steer are her favorites. Josie also enjoys helping her club in various community service projects, such as cleaning the Rapp School House and collecting items for soldiers overseas. She was a county council representative for two years, is a member of the district livestock judging team and has been selected as a 2020 CWF delegate. Josie also is an active member in her church and participates in various activities at her school, such as the debate and forensics team and playing on the golf and basketball teams. Even though she stays very busy, Josie loves being an active member in 4-H and her community. 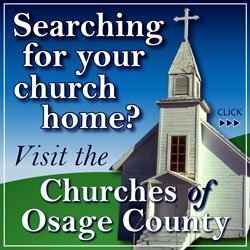 Sponsors for the event were Overbrook Fair Board, Osage County 4-H Council, PK Country Designs, and 4-H King and Queen Committee, Clover Wranglers 4-H Club.